Why Did The Huffington Post Close It’s Contributor Program? Blog > Resources > Why Did The Huffington Post Close It’s Contributor Program? 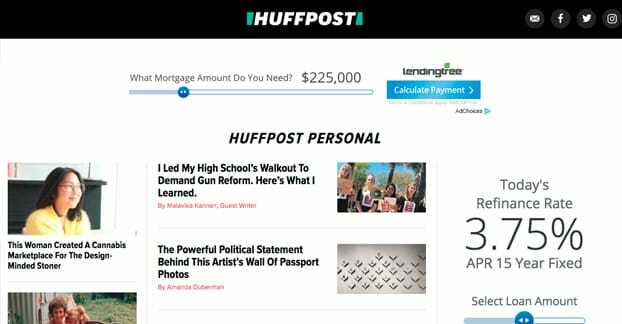 One of the early foundational reasons that the Huffington Post became as large and as successful as it is, is the existence of their contributor program. The contributor program was launched in 2005, so it had a good run. By the time HuffPost decided it was time to shut it down, they had amassed more than 100,000 contributors. 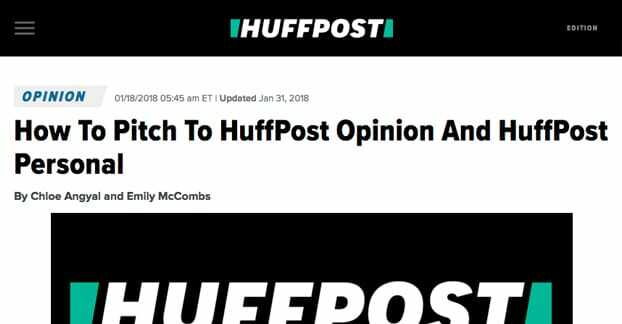 Over the last decade and change, the program has given HuffPost a virtually uncountable number of contributions, an insane amount of content, all for free. Contributors to the Huffington Post got a byline and some traffic, and that’s about it. There were even lawsuits that tried to gain compensation, though those cases were shelved. Marketers, of course, loved the program. It was one of the few remaining ways a blogger can contribute something to a massive site with a ton of traffic, without having to jump through hoops. You didn’t need to contact an editor, pass through deep filtering, or be relegated to some unseen, unindexed forum. Instead, while you were fairly unlikely to get major positions on their front page, you were still posting on HuffPost. Of course, over the last few years, Google has been making it increasingly clear that it’s not the quantity of content that matters, it’s the quality. By the time they killed the platform, that insane crush of content only accounted for 10-15% of the traffic HuffPost received. One of the major benefits of the HuffPost contributor program was actually a sort of social pressure. 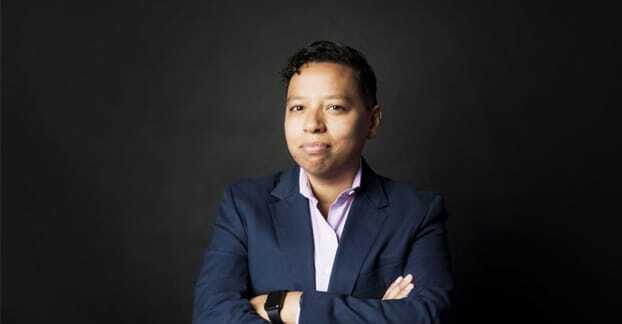 The Huffington Post quickly garnered a reputation as being a liberal-leaning platform primarily because the contributor program allowed them to host discussions about social issues that rarely had a voice. All kinds of social issues, from discrimination and racism to the politics inherent in capitalism, were discussed. Sure, a ton of content was vapid and potentially misinformed, but with so much being posted for so long, some quality was bound to surface. These days, though, there are a huge number of platforms where anyone can speak their mind. Twitter is a broadly open platform, even to their own detriment in some cases. Medium allows anyone to create their own custom blog in much the same way the contributor program allowed. This is a direct reference to the issues that occurred during the 2016 presidential election, among other things. The problem, as is still being dealt with on sites around the internet, is the ease with which these open platforms can be used for nefarious purposes. When your platform is open and you have little or no filtering, it’s easy for someone to push an agenda. It’s a well-known fact at this point that Russian bots and propagandists were able to pitch and promote perspectives, content, and interviews with “average conservatives” and what have you, all with no basis in reality. 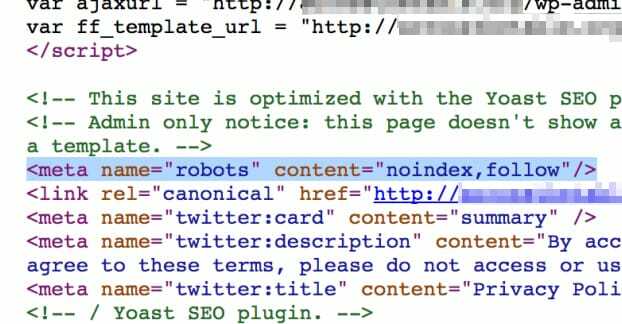 An open platform like the Huffington Post contributor program allowed anyone to post an article, and then legions of bots to promote that article. The fake news epidemic is a major part of why HuffPost decided to close their contributor program. As a major source of news and viral trends on the internet, they have a responsibility to be accurate and faithful to the facts, regardless of their own bias. And yes, the Huffington Post is biased towards liberal news and progressive stances on social issues. There’s nothing wrong about that, so long as you’re not deliberately lying to advance that perspective. 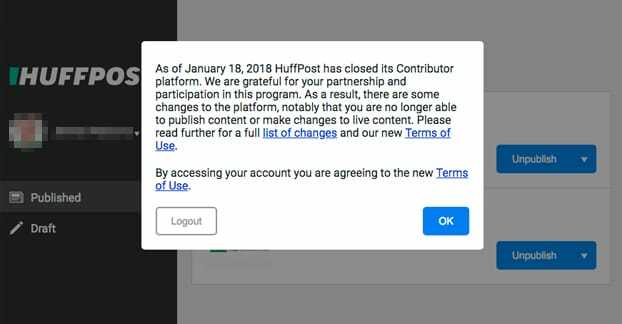 The other part of why HuffPost decided to close down their contributor program is simply how unwelcome an unpaid contributor program is these days. Sure, there are thousands of individuals and businesses willing to write content to promote themselves via such a program, but how often is that content valuable? The vast majority of the content in the contributor program saw little or no traffic or value. They existed largely for the backlinks more than anything. When you have 100,000 people contributing content, and only a few dozen or so posts are noteworthy enough to be promoted each month, there’s a lot of wasted resources happening behind the scenes. Any automatic system can be gamed, and it’s a lot of labor to manually oversee such a platform for so little gain. It’s no wonder the site decided to shift their focus. While HuffPost did indeed remove the contributor program, they replaced it with two adjacent programs. These are the HuffPost Opinion section and the HuffPost Personal section. The HuffPost Opinon section is meant to be in large part a replacement of the best posts from the contributor program. It’s primarily full of a series of regular columnists, much like any other blog these days. However, those regular columns will be supplemented by a series of one-off guest writers, who are commissioned by the editors of the Opinion section. Opinion pieces will have high quality standards in comparison to the average contributor program post. 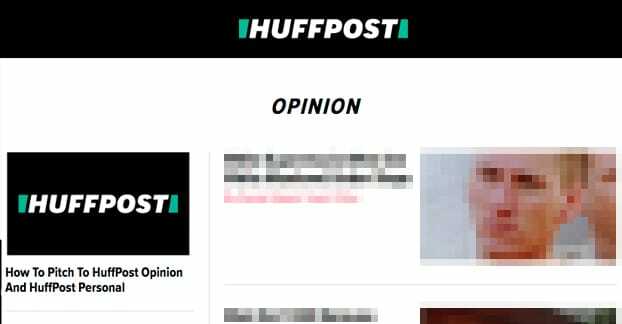 To be approved, a post must be “smart, authentic, timely, and rigorous.” It’s a way for HuffPost to expand to other demographics, cover perspectives not usually seen on their site, and otherwise keep up with a news cycle that threatens to leave all of us behind. Indeed, the Opinions section is already full of this. They have content ranging from political posts from both sides, posts about the issues of racism in America and globally, posts about Hollywood politics, and a lot more besides. Opinion section authors are labeled as either a columnist or a guest writer, to help people ferret out whether or not a post might have an ulterior – and commercial – motive, but for the most part, posts tend to be deeper and more introspective looks at various topics, rather than shallow “basic guide to X” posts that tend to be the foundation for various corporate backlink efforts. If you’re interested in posting in the Opinion section, good luck. It’s not impossible, but it’s quite difficult, and you really need to have a good sense of the kinds of content they post. If you can dig into a topic about some social justice issue and how it’s either a problem or not a problem in your industry (and it’s usually a problem) you’ll be starting from a pretty good point. Any way you can tie your business or your industry into some larger social or political issue is a good start. Any post you write for Opinion needs to have an original point of view, shed new light on an existing debate, or brings an issue into the spotlight that hasn’t been covered before. It also needs to be backed up by provable evidence; none of that conjecture and “well I heard” kind of opinion. You will be doing the job of a journalist, or at least paying a writer to do the job of a journalist, if you want to be considered. The key element to a Personal story is that it is, well, personal. It doesn’t necessarily need to per personal about you, specifically, but it shouldn’t cover well-trodden ground. It’s a personal story about someone’s experiences with life that can bring a lesson to other people reading it. If there’s nothing noteworthy about your life experiences, you’re probably not able to get into the Personal section. That said, something as simple as a CEO’s perspective on starting a novel business can be worthwhile to post, if there’s a way to spin it to be relevant on a larger scale. They don’t need more Forbes-like “here’s how to start a business” posts. What they want is a perspective on the unique trials a person of color had to go through as a new CEO, or how there was distrust between a white CEO and a primarily Latinx audience, or something of the sort. Explain briefly why you’re the right person to write the piece, what your experience is and why it’s relevant to the topic. Explain why the story matters and what the stakes are. Outline how the piece will start and end. Include a draft here if you have one, in the body, not as an attachment. Use a subject line with a clear headline of what you’re pitching, and specify whether or not it’s timely. Include a description of your post writing experience and links to published posts of similar relevance. They also say that you should not send a pitch via a PR agency or an agent of any sort. They won’t accept working through an intermediary. All pitches should be emailed directly to the void. By that, I mean sending them to pitch@huffpost.com. I call it the voice because, as you can imagine, they get a ton of pitches every week. It can be quite a while before they even come across yours. If all of this sounds kind of depressing and feels like a long shot, you’re pretty much right. The days of being able to easily get a link from the Huffington Post are more or less over. You need to be deeply entrenched in political or social issues to have the right perspective, or you need to have a personal connection to an influential editor who can get your post published for you. So what alternatives do you have? Primarily, you’re just going to need to persevere. Any site worth guest posting on these days is going to have similar processes. You can submit your pitches to sites like HuffPost, and at the same time, send them to Forbes, or Entrepreneur, or any of the thousand different high-tier news and blogging sites. My advice is always to start relatively small. Look for sites relatively similar to your own and build guest posting partnerships, then leverage those partnerships to work up a tier in the sites list. 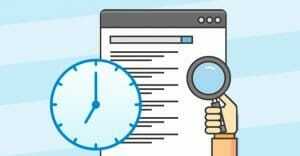 A new SEO site wouldn’t be able to guest post on Moz immediately, but by building up citations on smaller sites, they can write for mid-tier SEO sites, and eventually leverage those connections to work with Moz. The same can go for any site in any niche; there will always be other sites on your level, other sites a bit better than yours, and top-tier sites you want to reach eventually. It just takes patience to work up the ladder. The Hoth Review: How Effective Is Their Link Building Service? Shame that we’re no longer able to publish there. Or at least, it seems much more difficult. Hi Naseer, yes, everything changed after Arianna Huffington sold it. It was an interesting decision, hopefully it’s a temporary one while they create a new contributor system.